"If you're not barefoot then you're overdressed"
Discover island life at this unique beach house set on a private 1,600 sqm of stunning beach land with 32 m beach frontage on Koh Samui’s north eastern shore. 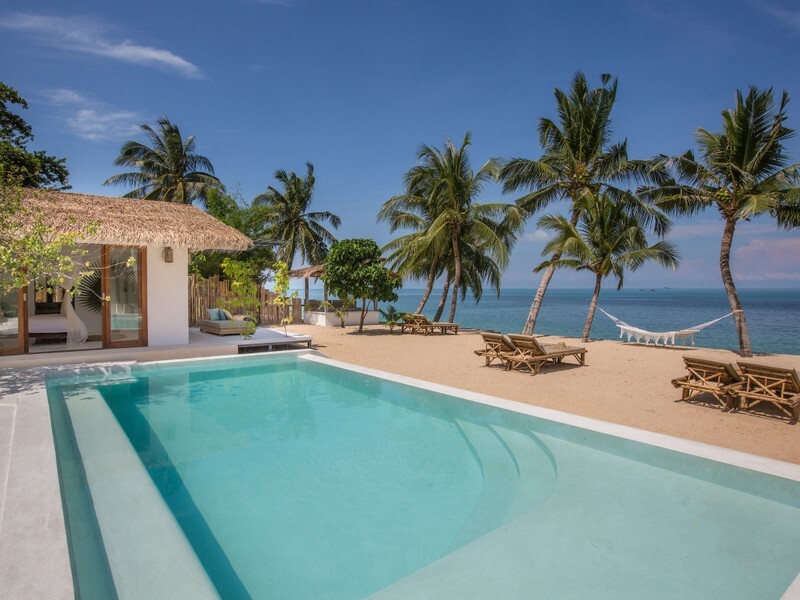 First built as a Thai fishing house on an enviable beach side plot, the property has been lovingly renovated. Retaining some of its rustic charm, Kya Beach House is an idyllic 3 bedroom beach side holiday home, offering it’s very own private beach garden and pool. With the Gulf Of Thailand lapping at its feet, laid back is the lifestyle and with 5 km’s of Baan Po’s white sandy beach forming part of the extended garden, beach life is there for the taking. Understanding island living and how to live it well, Kya Beach House has been designed to offer guests beach life with a twist of shabby chic luxury. The open plan living room sits centre stage to the pool and beach with a stylish beachy feel bathed in the tones of the surroundings. Guests can relax back on the sumptuous sofas drenched in island views and if they choose can enjoy the multi-media entertainment system with 55" HD Smart TV. The system comes complete with multi lingual TV channels and integrated surround sound speakers throughout the indoor and outdoor living areas. © 2019 Kya Beach House.